tl;dr - We've boosted the reliability of Cache Mode on Compose by disabling backups and persistence by default on all Redis deployments using that mode. But if you need them enabled, all you need to do is turn it on. We made some changes recently to improve the performance of Redis deployments in Cache Mode. Our engineers noticed that there were significant memory overhead issues with Redis deployments running near to using all available memory. This would run up a memory deficit it wouldn't be able to repay without sacrificing performance. 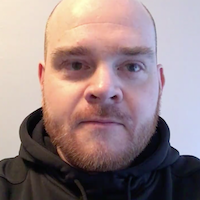 We understand that most Cache Mode users are interested in performance above all. So, by default, we've decided to turn off backup and persistence and free Redis of that deficit. But, where you do want backup and persistence for your Cache Mode Redis, you can turn it on yourself. Let's show you what it looks like in the Compose console and how to enable the feature. 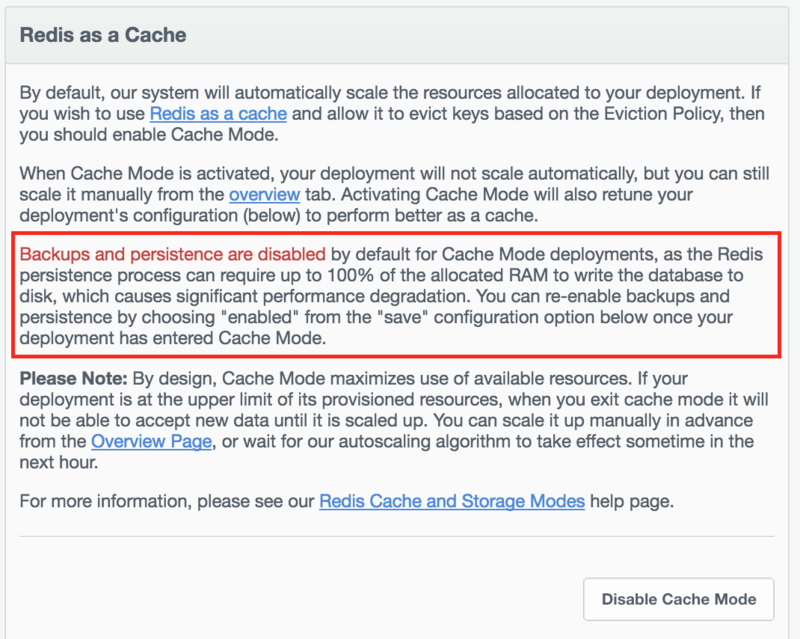 For all Redis deployments in Cache Mode, backups and persistence have been disabled by default. This is now indicated on the Overview view next to Backups where you’ll now see Disabled (Cache Mode). If you want to enable Backups, select Settings from the side bar, which will take you to your Settings view. Here, you will see the Redis as a Cache panel telling you that “Backups and persistence are disabled by default” due to the amount of memory required to run backups that result in huge performance issues. Automatic backups can be enabled by scrolling down to the Snapshotting panel and choosing enabled on the button next to save. To apply any changes, scroll down the page a little more and click the Apply Configuration Changes button. You’ll be taken to the Jobs view where you should see a blue star showing you that your new configuration is being processed. When it’s done, you’ll see a green check next to Apply Configuration. Now, backups and persistence are enabled in cache mode. With this change, you’re now able to control when or whether automatic backups are activated. If you decide to enable snapshotting, then we want you to be aware of the performance risks involved.